is thrilled to be making her debut with Kokandy Productions! 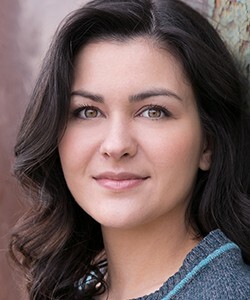 She is a recent BFA Musical Theatre graduate from Columbia College Chicago where she played “Cinderella” in Into the Woods directed by Sheldon Patinkin and “Gertie” (u/s “Laurey”) in Oklahoma directed by Ashton Byrum. She was recently seen as the “Tattoo Girl” (u/s “Violet Hilton”) in Side Show at Porchlight Music Theatre. Thanks to everyone at Kokandy Productions for this wonderful opportunity and to her family and friends for their love and support!